Certain musical styles flit in and out of fashion depending on the sonic weather out there (I, for one, am still awaiting the return of acid house), while others seem to have drifted into oblivion (is "wizard rock" still a thing?). 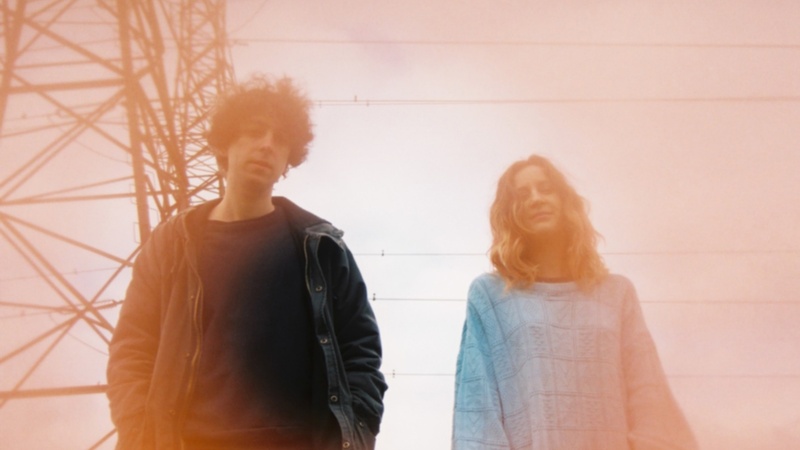 One such genre that has been making a comeback in a big way is the shoegaze variety. Spurred, in part, by the reunions of bands like Ride, Lush, and Slowdive, as well as the long, LONG awaited arrival of My Bloody Valentine's mbv album a couple of years ago, shoegaze has returned to the scene, albeit most often with the moniker of "dream pop." Whatever you want to call it, it is a sound that Canadian duo Beliefs have a lot of faith in (no pun intended). Their sophomore album, Leaper, ebbs and flows with varying levels of fuzzy guitars and driving rhythms. Song titles like "Ghosts," "Morning Light" and "Swooner" might give a hint to the diaphanous sheets of sonic gauze that adorn their tunes but which never fully obscure the catchy melodies therein. And the perfect blend of their male/female vocals keep things modern. 25 years from now, when "dream pop" returns from a number of years of exile, it may very be records like Leaper that inspire the next generation of shoe-gazers.